Kick back on the beach, hang ten on perfect waves, catch a trophy fish that will make your friends jealous, and enjoy the easygoing island life. These are just a few of the things to do in Surfside Beach, a chilled-out village nestled on the Gulf of Mexico about an hour south of Houston. Read on to discover all that this Texas Gulf Coast destination has to offer. Feel the soft sand embrace your bare feet as you listen to the soothing sounds of rolling waves. It doesn’t get better than this. With its four miles of pristine coastline, there’s no better place for your next vacation to the Texas Gulf Coast than Surfside Beach. Find your perfect spot, set up your towel and umbrella, and kick back on one of the best beaches in Texas. Yet the beach isn't the only place to enjoy Surfside Beach's coastal charm. Take your kids to the Splash Pad Park for an afternoon of freshwater fun. Boasting 10 water features across the 2,000-square-foot splash pad, it's a great spot to play and cool off. While the beach is superb for lounging and swimming, that’s not all it has to offer. 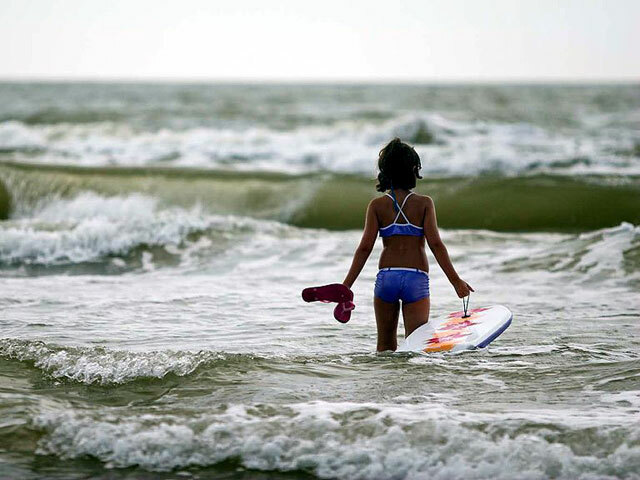 As its name hints, Surfside Beach is well known for its consistent waves that provide some of the best surfing in Texas. For some of the finest waves in town, head to the shoreline near Texas Street. Need some last-second gear? Surf on over to Surfside Beach’s local shops: Beachfront RV Resort and Rentals, Bingo’s Boards, and Breaker Sports. 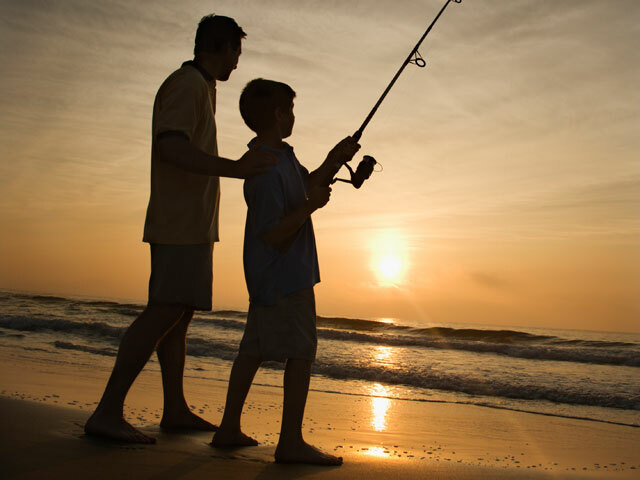 Deep coastal waters, coastal reefs, and offshore oil platforms offer ideal conditions for all sorts of fish to thrive, making for some of the best fishing in Texas. Whether you stay closer to shore or you charter a deep-sea excursion to catch a bull redfish, tuna, or shark, you’ll find the fishing here is first-rate. One of the top angling spots in town is Surfside Jetty Park, where you can cast your line and relax as you watch cargo ships sail by. If you’d rather catch some crustaceans, try your luck at the Crabbing Pier located across from Stahlman Park. Need some exercise? Stroll, run, or bike along the Bluewater Highway Trail, a concrete footpath that runs along Highway 257 for three miles, starting in the center of town. The trail is easy to access as it passes many of Surfside Beach’s restaurants and vacation rentals, making it easy to see the village while you leave your car behind. No matter how you enjoy spending your time on the beach, you’re likely to work up a Texas-sized appetite. Fortunately, you don’t have to go far for some really good food. Just within Surfside Beach, there are eight local restaurants to choose from. These range from beachfront cafes to eateries serving up hamburgers and fresh seafood. Quite a few of these restaurants double as bars, providing relaxed places to hang out long after the sun has set. 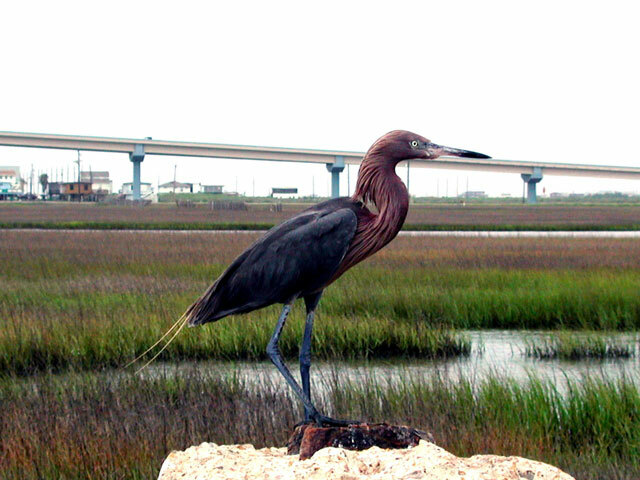 Roseate spoonbills, sandhill cranes, snow geese, and countless herons and egrets reside in and near Surfside Beach at various times of the year, making the village a delight for birding enthusiasts. The village sits near the southern border of the Brazoria National Wildlife Refuge, where more than 200 varieties of birds have been spotted. Whether you visit in the winter to see all the migratory birds or in the summer, you’re likely to see something you haven’t encountered before. Make sure to bring your binoculars.